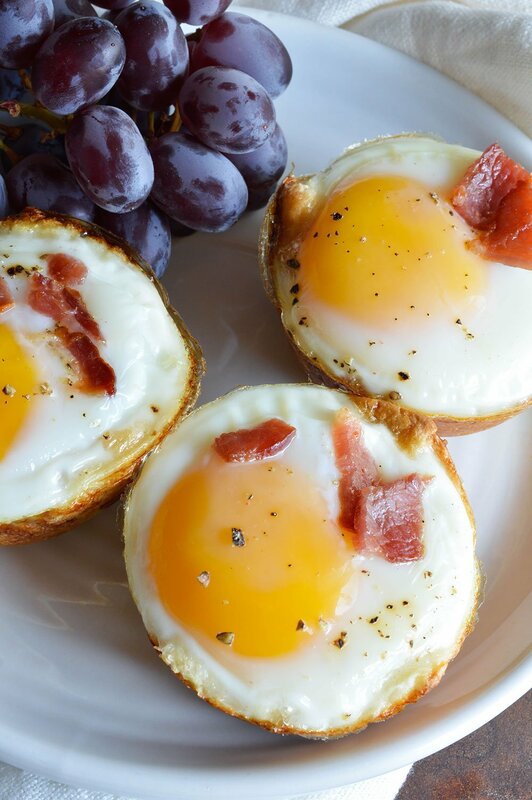 Make breakfast quick, easy and with only 3 ingredients! 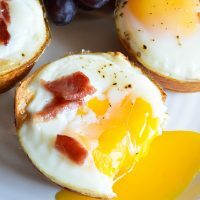 These Bacon and Egg Breakfast Cups are simply delicious and perfect for feeding a brunch crowd! Baked eggs are my new favorite thing. 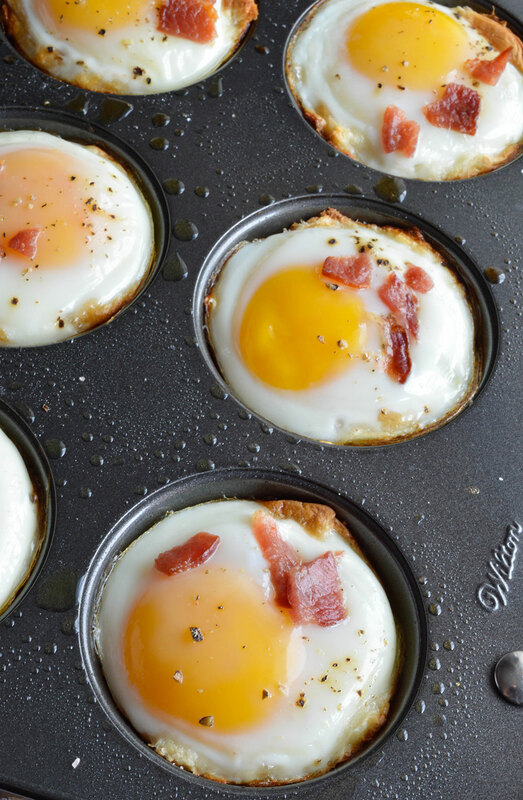 I just discovered the super easy method of baking eggs in muffin tins. Perfect for people like me that always break the yolk when frying an egg in a pan. Eggs are supposed to be so basic. But honestly, eggs are my kryptonite. No more. I’m baking my eggs from here on out. 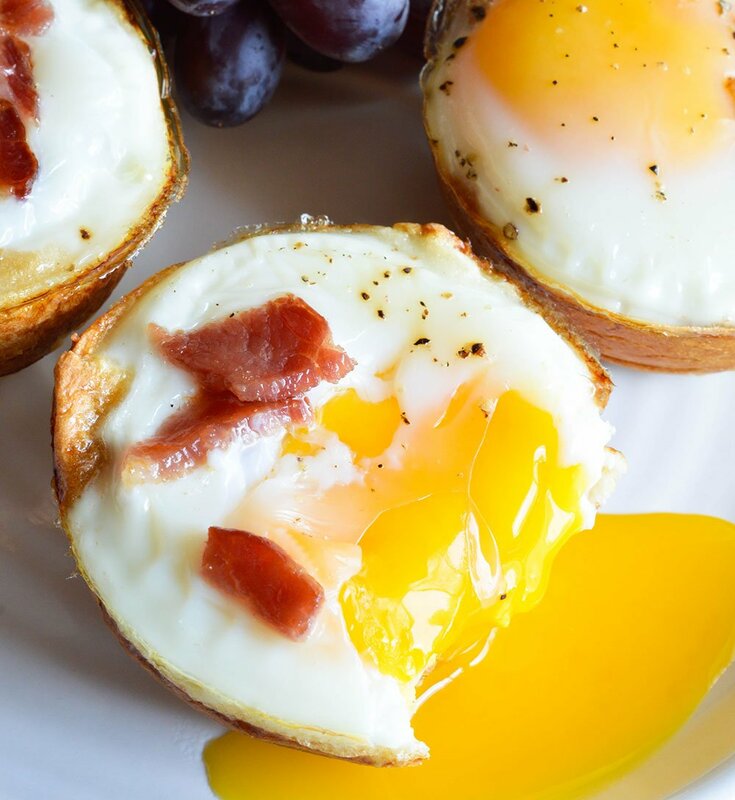 And making these amazing Bacon and Egg Breakfast Cups! Just look at that luscious golden yolk. First round up your ingredients. 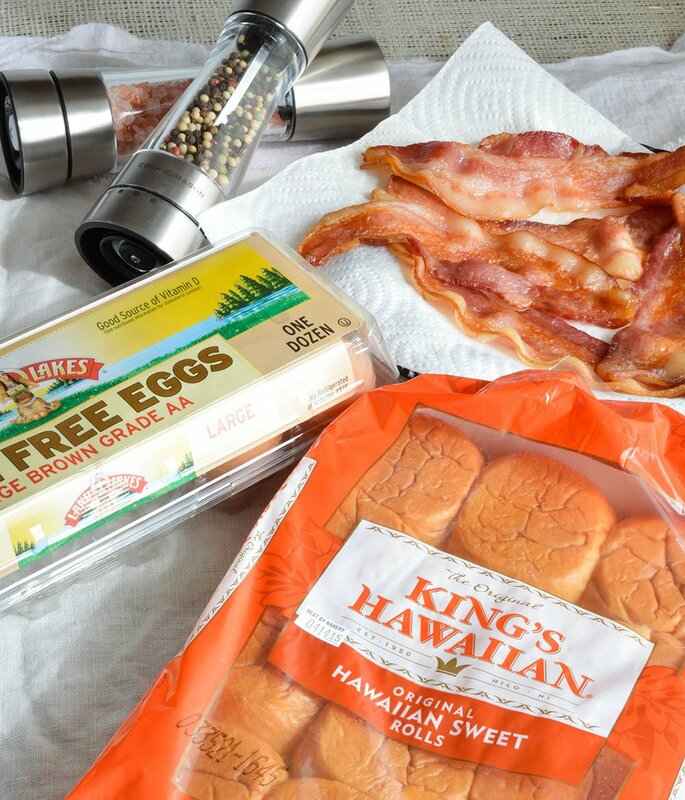 King’s Hawaiian Rolls. Land O Lakes Cage Free Eggs. Cooked Thick Cut Bacon. Fresh Cracked Salt and Pepper. 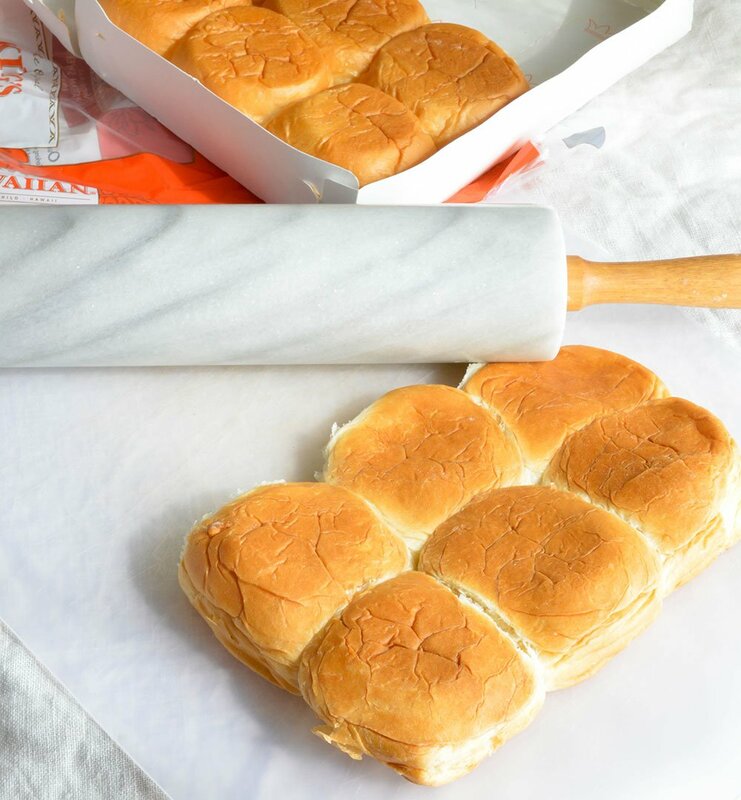 Flatten the rolls with a rolling pin. As flat as possible without breaking them. Form flattened rolls into muffin tin that has been sprayed with nonstick. Fill with a few pieces of chopped bacon. Crack an egg right over the top. Sprinkle with fresh cracked salt and pepper. Transfer to the oven and bake. Add a few more pieces of bacon on top during the last 5 minutes of baking. 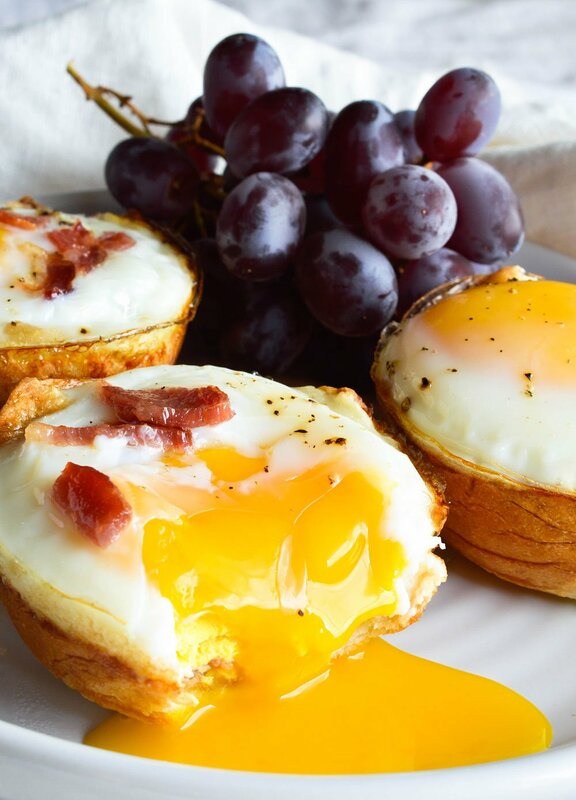 Enjoy the perfect breakfast all in one bite! 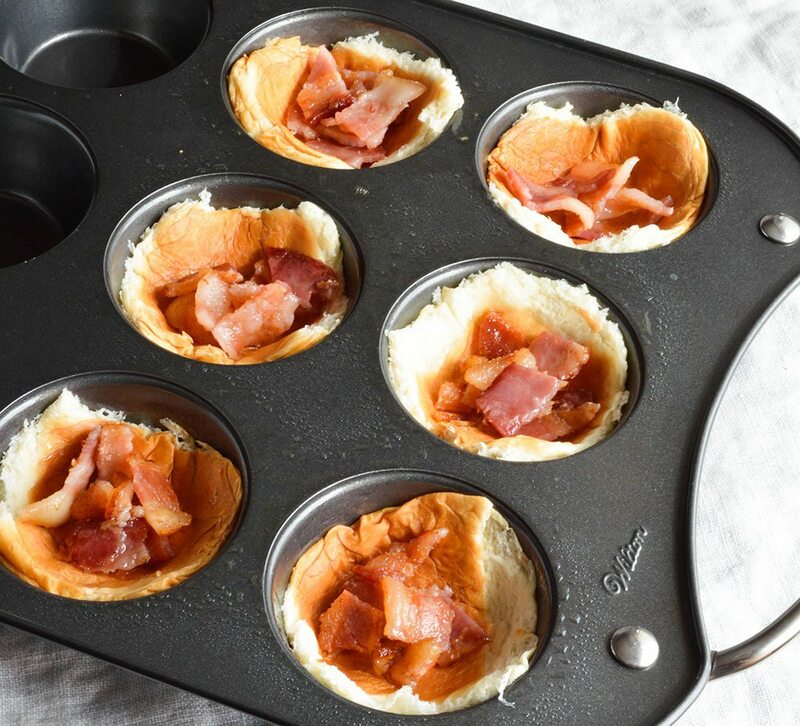 Fill each muffin tin with a few pieces of chopped bacon. 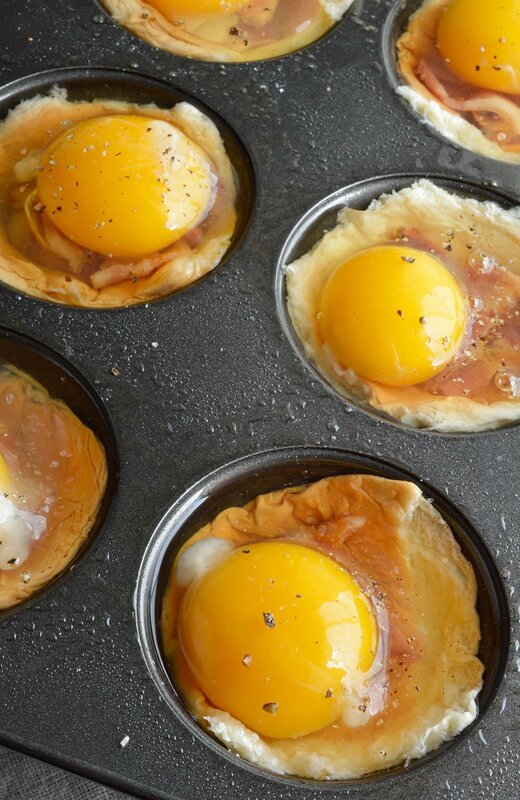 Crack an egg right over the top of each muffin tin. Bake for 15-17 minutes or until egg whites are fully cooked. I’m egg-challenged too. I never manage to keep the yolk intact whenever I fry eggs. These breakfast cups are so enticing. My mouth watered just looking at them. holy egg yolks! definitely experiencing egg envy currently. SO easy! The hubby would definitely be in heaven if I made a batch for him! What a great idea to start with a Kings Hawaiian roll as the base. Is there a way to make the yolks not runny – other than cooking longer? What oven temp and for how long ? 350°F for 15-17 minutes (or until eggs are done to your preference) Enjoy! I’m not a fan of the runny egg yolks (nor are the kids), so I made these with scrambled eggs and topped with a little bit of cheese. Kids are devouring them as I type! Is it raw bacon that’s cooked in the oven or do you cook the bacon first then add to the tin? 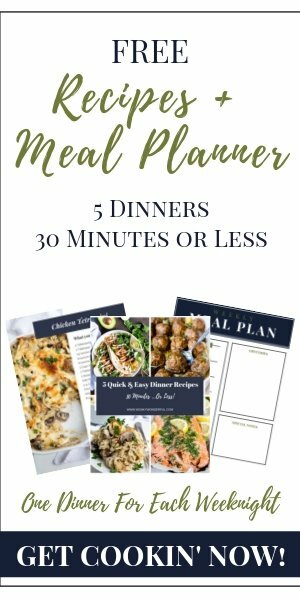 How many servings does your recipe make?